From long-running shows that have been on-stage for years, to more contemporary pieces that have shorter runs, there really is something to cater to all tastes in the West End. If you’ve been fancying a weekend in the big smoke as a treat, or want to give someone a memorable gift, then tickets to a show are a great idea. And if you’re not sure as to what you want to watch, then check out our recommendations below. Les Misérables is one of the most popular musical’s in the world, and since the release of the blockbuster film a few years ago, this historical musical has enraptured a whole new generation of musical fans. It has been on stage in the West End since 1985 making it the longest-running musical in the West End, and the second longest in the world. With fantastic sets, an incredibly moving story line and of course an absolutely beautiful music score, if you want to take in a musical experience in the iconic West End, then Les Miz is an absolute must see. You can easily buy your tickets online at Ticketmaster. If you’re a fan of her books or of the crime genre in general, then a play that would be great for you to see would be The Mousetrap which was written by crime writing legend Agatha Christie. Like with Les Miz, it has longevity and since its opening way back in 1952, it has never been off the stage, making it the longest running play in history! It is of course a thrilling whodunit play which features a surprise twist ending that the audience is asked to keep to themselves to ensure that future viewers can enjoy the plot twist for themselves. To enjoy a play that still remains popular today, then get tickets to see The Mousetrap. And finally, probably one of the biggest plays at the moment in the West End is of course Harry Potter and the Cursed Child Part 1 & 2. 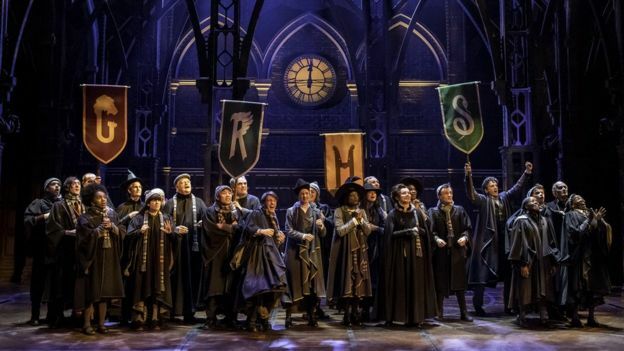 A continuation of J.K Rowling’s Harry Potter book series which has of course enjoyed worldwide popularity, this theatrical production has managed to hook a whole new generation into the world of theatre. Many of the audience will of course have read the accompanying book which has already been translated into numerous languages, meaning that this is one of the biggest shows to see for visitors to London at the moment. If you’re a Harry Potter fan, then this play is must-see. Next Post Our Favourite Musicals!